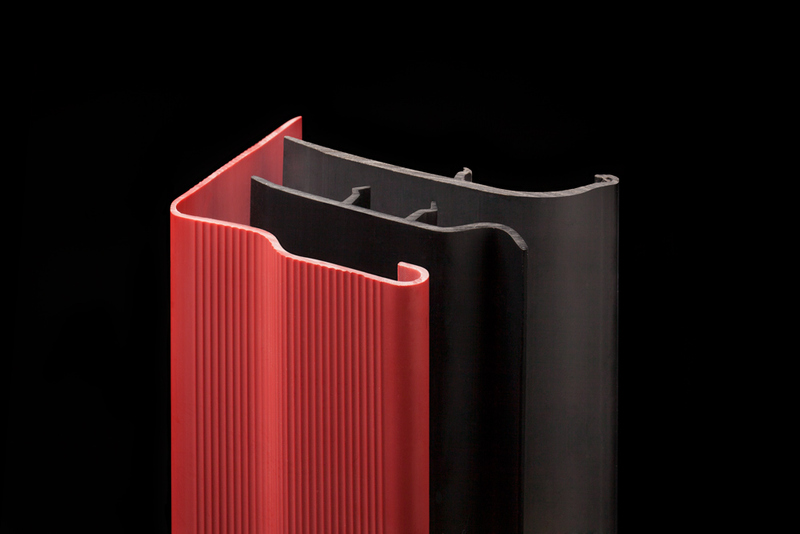 Our extruded plastic guards are used in the automotive, medical device, construction, and household appliance industries. Preferred Plastics is an industry-leading extruder of custom plastic guards for industrial and consumer applications. Over the past 40 years, we have earned a reputation worldwide for extruding high quality plastic guards to meet our clients’ specifications. Our innovative extruding processes are supported by superior customer service and a commitment to producing parts that meet highest quality standards and are delivered on time and on budget. Two manufacturing facilities with a total of 200,000 square feet of capacity. Our 38 technologically advanced extruders provide the capability for profile extrusion, co-extrusion, crosshead, and tube extrusion services. Wide range of thermoplastic materials, including PVC, ABS, HIPS, HDPE, TPU, and TPE. We also offer custom compounding. We utilize sustainable, environmentally-responsible manufacturing practices, to minimize waste and maximize energy efficiency in our manufacturing. We can assist you in selecting more environmentally friendly thermoplastic alternatives for your project. At Preferred Plastics, we are committed to manufacturing a high quality part that meets your expectations, is delivered on time and on budget – all supported by superior customer service. We understand that the components and parts we deliver you are critical to the performance of your finished products and that the quality of our products impacts the quality of your products – and that it’s your reputation on the line. It’s that commitment that keeps our customers coming back. We are committed to attaining world-class quality status in our products. Production takes place in a worker-friendly culture which honors our commitment to our community and environment. Each member of our team serves our clients by providing excellence in quality, value, on-time delivery, and maintaining the highest ethical standards. The achievement of these objectives results in customer satisfaction and increased market opportunity. Copyright © 2016 - 2019 | Preferred Plastics, Inc.